As bitcoin’s price rises, bounces, and continues its frenetic ride, an additional wave of investors is being drawn back toward the technology. Bitcoin began 2017 with its price through the $1,000 barrier along with strong returns in 2016. Between ETFs and offshore bitcoin investment via Chinese exchanges, the options for bitcoin investment can seem overwhelming. The price action has deterred many, and combined with the additional wave of interest after the election of Donald Trump and the rising cash crises in India and Venezuela, more investors—especially the newly interested—are asking the question: How do they obtain their first bitcoin? Investors looking to invest in bitcoin through the capital markets can access an investment through Greyscale’s Bitcoin Investment Trust, which now trades on the OTCQX as GBTC. Greyscale investment provides certain advantages that make an investment in bitcoin a more digestible option. For one, shares of GBTC are eligible to be held in certain IRA, Roth IRA, and other brokerage and investor accounts, in turn allowing easy access to all levels of investors in a wide variety of accounts. Investors are provided with a product that mirrors an underlying value of 1/10th the value of bitcoin. So if the value of bitcoin is $1,000, each share of GBTC should have a net asset value of $100. This value is not without costs, as GBTC maintains a 2 percent fee that impacts the underlying value. In reality, investors are paying for security, ease of use, and liquidity. By arranging strong storage mechanisms and securing the bitcoins themselves, GBTC allows for investors who are less technical to safely access the bitcoin market. Because the fund trades on the capital markets, it can trade at a premium or discount to its net asset value (NAV). The fund typically trades at a premium to its NAV, indicating strong interest in a bitcoin-based investment. The fund continues to grow and gain support, as ArKInvest LLC invested in the GBTC, becoming the first public fund management group to invest in bitcoin. ArKInvest also launched the first ETF to track bitcoin action, the ARK Web x.0 ETF (ARKW). As of August 2018, GBTC had $1.264 billion under management, with ARKW posting over 185 percent profit since its launch in September 2014. Exchange traded funds (ETFs) are an asset vehicle that trades during the day on the capital markets. These investments are without the forces of illiquidity, theft, hacking, and poor accounting and security practices found in early bitcoin exchanges and companies, and are ideal for those chasing a relatively safe investment in the bitcoin world. The Winklevoss twins applied for an ETF twice, and as of 2018 were denied for a second time by the SEC. Government officials are taking a conservative approach toward approving ETFs in the largely speculative bitcoin market. Worry over the potential illicit use for bitcoin and money laundering have stymied progression regarding the application of traditional investment vehicles into the cryptocurrency realm. As of mid-August 2018, a potential option for the ETF investor is Bitcoin Tracker One, which trades under the ticker CXBTF. Bitcoin Tracker One is technically an exchange traded note (ETN) that is listed in Sweden, but the exposure is a step toward the exchange-traded investment vehicles so desirable to the beginner investor. As the United States continues to fall behind China in the adoption and mining of bitcoin, approving ETFs would speed up efforts to bring America current. Bitcoins themselves have primarily been classified as property in governmental rulings and are subject to subsequent tax rules. For example, both a March 2014 IRS ruling and a February 2016 California Bankruptcy court ruling labeled bitcoin as property, not a currency. The IRS’ April 2014 ruling to require the reporting of capital gains for tax purposes on bitcoin-related trades, however, signals that regulators also qualify the asset as a stock. Given the importance of private keys needed to access the currency, bitcoin as property (despite the tax drawback) seems a logical choice. 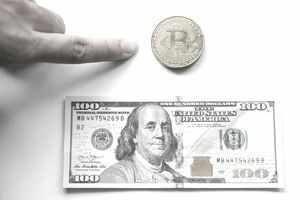 Many have speculated what effect the approval of such an exchange would have on the bitcoin markets. With over 97 percent of known bitcoin trading still occurring in Chinese exchanges, a strong surge is expected as North American investors enter the market. The price fall from December 11, 2017, when bitcoin was worth just over $19,000, to August 11, 2018, with a price of $6,233, shows the volatility in the landscape and what U.S. regulation might mean to a largely Wild West landscape of trading. Given the scarce final amount of 21 million bitcoins that will ever be in existence, combined with the exponentially increasing mining power on the network, Bitcoin has demonstrated its staying power and seeks to provide those in the developing world with banking services, while also seeing bitcoin’s use and implementation rise among supply chain, media monetization, and data notarization services. ETF listings remain a crucial step toward widening the investment network in bitcoin within America. Investors remain nervous about the risks associated with digital currency, its market dominance from China, and potential illicit use. Beginner investors are advised to monitor bitcoin ETF regulation, as the listing of exchange traded funds and the resulting liquidity and sense of security should ring bullish in the bitcoin market.